Marketing Issues in Pacific Area Tourism exposes researchers, tourism professionals, and students to the complexities of marketing issues in the most dynamic region in world tourism today. Dispelling commonly held Western assumptions, inviting new research, and stressing the importance of tourism development in this area to the economics of world tourism, this book shows you how and why this region has experienced such tremendous growth. Some of the larger countries you learn about include China, Hong Kong, Japan, Korea, Malaysia, Singapore, Taiwan, and Thailand. Since many of these countries are becoming not only generators of tourist demand but also new tourist receiving areas, this book covers both inbound and outbound markets. how formerly insular governments of the region are awakening to the possibility of tourism. 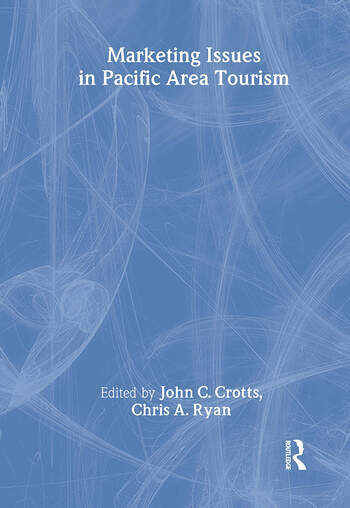 Marketing Issues in Pacific Area Tourism also helps you improve survey design and interpretation by stressing the importance of understanding the heterogenous nature of Asian culture when analyzing tourist behavior and motivation. It provides a different perspective of Pacific Region tourism, concentrating on the clash of culture between those of the region and a dominant Western way of doing business. Another valuable feature of this book is the presentation of a continuing and improving database from which to assess destination performance and visitor characteristics--thus allowing researchers to further identify important marketing opportunities and issues.